Rudd & Hawkes Title Insurance Agency was founded by attorneys seeking to bring their expertise to help simplify the complicated process of buying and selling real estate. 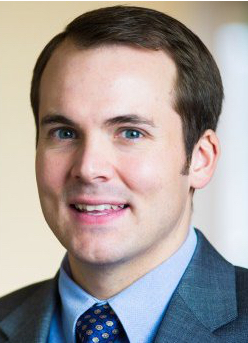 Jonathan Rudd received his bachelor's degree in business management from BYU in 2004 and continued his studies at Pepperdine School of law, where he graduated early and received his Juris Doctor degree in 2007. Through his legal representation of a variety of individuals and businesses, Jonathan came to recognize the need for good title and escrow services to avoid many of the problems encountered by individuals working in the real estate professions. This desire to save his clients heartache and money drove him to the title business. Tyler Hawkes' first job out of high school was as a runner and recorder for a local title company. This early experience led him to become a real estate attorney after receiving his law degree from BYU in 2009, and found a title company himself. Through experience in the practice of law, title and escrow services, and formerly as a mortgage broker, Tyler has a thorough understanding of the real estate industry and how to help individuals and businesses reach their real estate goals. Sean received his Bachelor’s of Integrated Studies degree from Weber State University in 2010 with minors in Political Science, Technical Sales, and Asian Studies. Sean graduated in 2013 from the University of the Pacific, McGeorge School of Law in Sacramento. Sean has legally represented clients in several areas of law, including real estate litigation, collections, and landlord/tenant issues. One of Sean's main practice areas is bankruptcy, which often overlaps with real estate and title, where he has represented individuals and businesses in chapter 7, chapter 13, and chapter 11 bankruptcies. This background in law helps Sean assist clients in real estate transactions. Sean manages our Layton Office. Greg was born and raised in Las Vegas, NV. He served an LDS mission to Sao Paulo, Brazil, and graduated from with a B.A. in History from BYU in 1998. He then returned to BYU and earned a Law Degree from J. Reuben Clark Law School in 2001. After practicing litigation law in Las Vegas with his family's firm until 2003, Greg returned to Utah and practiced general practice and litigation law until 2007. In 2008 he began his 2nd career when he began a real estate investment company with a few partners. In 2013, Greg married his long time sweetheart, Rachel Woodward, whom he met performing at the Hale Center Theater in Orem. Shortly thereafter, Greg began his 3rd career in Title as a marketer and in 2015 became an escrow officer as a natural outgrowth of the law and real estate. He and his wife continue performing on stage and film locally and working with real estate investment opportunities. Greg manages our Provo Office. Alec's legal background involved complex title examinations, litigation, and oil and gas transactional work, immigration, estate planning and real estate for healthcare professionals. Alec has helped numerous clients in both residential real estate and commercial real estate. — Brady Peterson, Cherry Creek Mortgage Co. Inc.